The black olive tree is native to the Florida Keys and produces a small, black-seeded capsule—it’s not edible! It grows 40 to 50 feet tall, stays green year-round and features a smooth trunk that forms a full crown as it ages. What’s interesting about the black olive tree are its leathery leaves. They’re blue-green in color and contain tannins, which can stain surfaces such as driveways or walkways if they are not cleaned up within a reasonable amount of time. 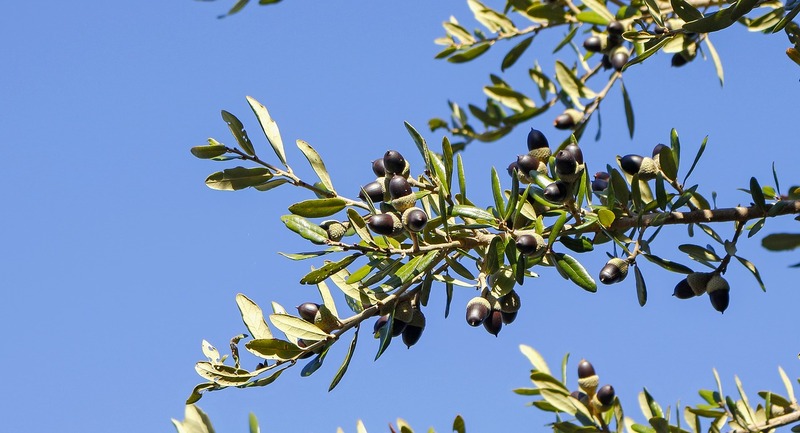 The black olive is appreciated for its attractive foliage and branching characteristics—and of course, for the shade it provides on South Florida properties. The live oak is a classic Southern shade tree, known for its canopy shape and dramatic arching branches that reach out horizontally from the trunk. These branches have reach—and uplighting them creates a beautiful effect at night. Birds and squirrels love to nest in live oaks, where they find food and plenty of cover. Live oaks love the acidic soil we have in South Florida and The Keys, and its roots will dig down into rock without a problem. So not only is the live oak a focal point—a true specimen that will add value to your Florida property—it’s a hardy shade tree that thrives with little care. 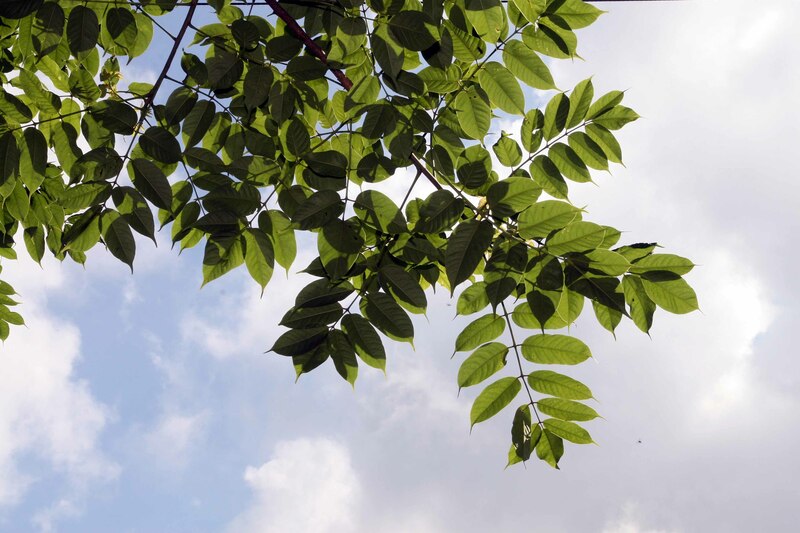 The fine, delicate leaves of the Mahogany tree offer a different texture than other typical shade trees, adding interest to your South Florida landscape. While the tree is evergreen, you will experience some leaf drop with the Mahogany (though its foliage does not contain tannins like the black olive tree, so there’s no concern about leaving behind stains). 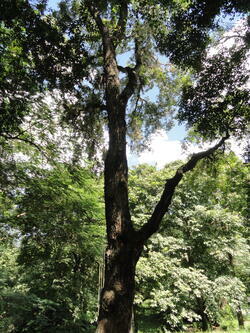 The Mahogany tree is known for its red bark—valuable wood for making furniture. By planting a Mahogany you are contributing to its sustainability. Many natural Mahogany stands have been harvested for timber, so the tree is on Florida’s Endangered Tree list. As a native South Florida tree that produces a dense canopy, you’ll gain plenty of shade from the Mahogany. The ficus aurea has a fatter trunk than other ficus varieties, making it a stable shade tree, which is beneficial considering the tropical winds we can experience in this part of Florida. 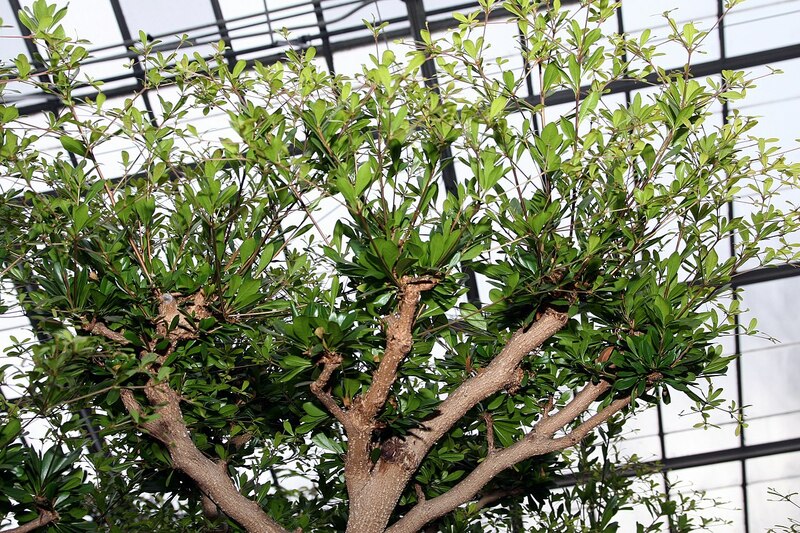 The ficus grows string-like shooters that drop down from the canopy and root into the ground to support larger branches. This behavior is how the tree earned the nickname, Florida strangler fig. The gumbo limbo tree is joking referred to as Tourist Tree because of its red bark that peels back—like the sunburned skin of a tourist that forgot to wear sunscreen. 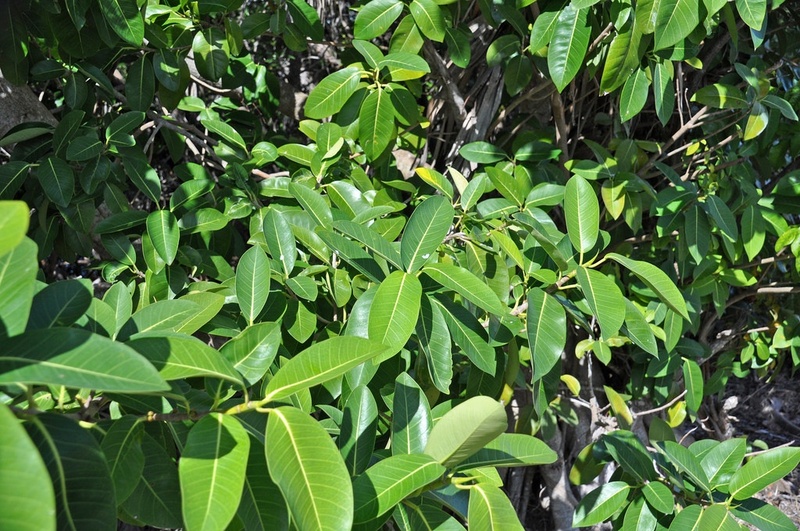 Aside from its characteristic bark, the gumbo limbo tree grows branches that begin fairly low to the ground and splay out in an artistic fashion. This shade tree’s structure is really quite stunning. And, the tree is wind-tolerant, making it a stable staple for South Florida and The Keys. It’s salt tolerant, so safe for coastal properties. What’s also interesting about the gumbo limbo is, in Central America, some will cut its branches and stick them in the ground close together in a fence-like fashion. Those branches root and grow together to form a living tree wall. It’s a striking effect! Now is a great time to enhance your South Florida landscape, heading into prime season for property owners who spend their winters here on The Keys. And, by installing shade trees now, they’ll have time to establish during more temperate weather—plus you’ll gain the benefits of creating more shade on your property in summer. Let’s talk more about ways to update your South Florida landscape, or add features like shade trees that make outdoor living in The Keys even more comfortable. Call us any time at 305.367.2005, or fill out this simple contact form to request a proposal.